There is yet another striking coincidence concerning the date of the upcoming solar eclipse on 21st August, 2017 involving a 40-day period of penance in Catholic tradition. As we have already noted, the fact that this eclipse takes place on the feast day of Our Lady of Knock recalls the First World War eclipse of 1914, which not only fell on the date of 21st August, but also directly crossed the site of ancient Nineveh, recalling the sign of Jonah mentioned by Christ during his discourse on the binding of Satan. 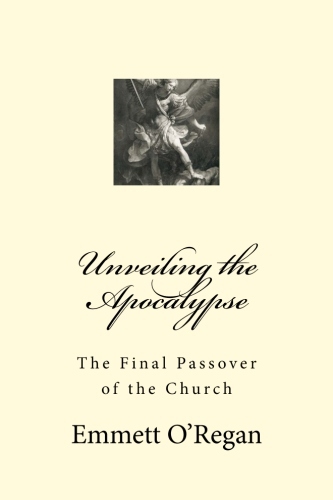 In my book Unveiling the Apocalypse: The Final Passover of the Church, I use this fact to bolster the hypothesis that the opening of the scroll of the Apocalypse by the Lamb of Revelation (the entire focus of the silent Knock apparition itself) took place at the turn of the 20th century, at the beginning of the period of Satan's greater power foretold in the vision of Pope Leo XIII, setting in motion a chain of events which would lead to the Second World War, the Jewish Holocaust and restoration of Israel. This in turn has paved the way for the future conversion of the Jews, which must take place before the Second Coming of Christ. We have already noted how the 2017 solar eclipse occurs 40 days before the Jewish feast of Yom Kippur (the Day of Atonement), on 29th/30th September, 2017. According to Jewish tradition, the month of Elul marks a 40-day period of repentance before the feast of Yom Kippur, and was the time during which Moses spent 40 days on Mount Sinai after the incident of the Golden Calf, in order to prepare for the reception of the second set of tablets containing the Decalogue. Given the fact that the date of Yom Kippur this year falls on the feast of St. Michael and the Archangels (Michaelmas), there is yet another disparate period of 40 days of repentance coming into play around the time of the solar eclipse, this time rooted in a long-standing Catholic tradition. Although it is not widely celebrated today, there is a custom in Catholicism dating back to the Middle Ages known as St. Michael's Lent, which was a 40-day period of fasting in preparation for the feast of Michaelmas, lasting from the Solemnity of the Assumption on 15th August to Michaelmas on 29th September. We should note that while the period of St. Michael's Lent actually extends to 45 days, it is still held to be a symbolic 40-day fast in keeping with Lent itself. If we are to count 40 days back from Yom Kippur/Michaelmas on 29th-30th September this year, we arrive at the date of the solar eclipse itself on the Feast of Our Lady of Knock, 21st August, 2017, rather than the Solemnity of the Assumption. While the practice of St. Michael's Lent has largely fallen out of use today (being kept only by a few Franciscan groups), it was vastly more popular in medieval times. The most famous adherent of St. Michael's Lent was St. Francis of Assisi, who practised this custom annually. 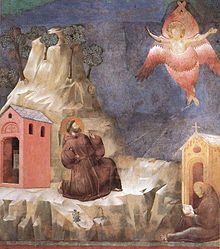 Indeed, St. Francis received his stigmata while he was on spiritual retreat to observe St. Michael's Lent on Mount La Verna (Alverna) with three of his Franciscan brothers. The Stigmatization of St. Francis occurred when he received a vision of a crucified seraph, and although the exact date was not stipulated by his earliest chroniclers, it was said to have taken place around the Feast of the Exaltation of the Cross on 14th September, 1224, just two years before his death. The Stigmatization of St. Francis was commemorated in a feast day of its own on 17th September, before being removed from the General Calendar in 1969. However, as we shall see, there is good reason to believe that St. Francis actually received the stigmata on the 15th of September - the feast of Our Lady of Sorrows (which commemorates when the Blessed Virgin partook of the suffering of her Son). Two years before Francis, the faithful servant of Christ, gave his soul back to God, he was alone on the top of Mt. Alverna. There he had begun a fast of forty days in honor of the archangel Michael and was immersed more deeply than usual in the delights of heavenly contemplation. His soul became aglow with the ardor of fervent longing for heaven as he experienced within himself the operations of grace. As he was drawn aloft through ardent longing for God one morning near the feast of the Exaltation of the Cross, and was praying on the mountainside, he saw what appeared as a seraph with six bright wings gleaming like a fire descending from the heights of heaven. As this figure approached in swift flight and came near the man of God it appeared not only winged but also crucified. The sight of it amazed Francis and his soul experienced joy mingled with pain. He was delighted with the sight of Christ appearing to him so graciously and intimately and yet the awe-inspiring vision of Christ nailed to the cross aroused in his soul a joy of compassionate love. When the vision vanished after a mysterious and intimate conversation it left Francis aglow with seraphic love in his soul. Externally, however, it left marks on his body like those of the Crucified as if the impression of a seal had been left on heated wag. The figures of the nails appeared immediately on his hands and feet. The heads of the nails were inside his hands but on top of his feet with their points extending through to the opposite side. His right side too showed a blood-red wound as if it had been pierced by a lance, and blood flowed frequently from it. Because of this new and astounding miracle unheard of in times past, Francis came down from the mountain a new man adorned with the sacred stigmata, bearing in his body the image of the Crucified not made by a craftsman in wood or stone , but fashioned in his members by the hand of the living God. Many commentators have debated whether or not Gal 6:17 suggests that St. Paul had bore the stigmata, and tradition in the Early Church is silent on this matter. So the Stigmatization of St. Francis of Assisi is widely regarded as the first instance of this miraculous phenomenon in recorded history. Even more important, however, is another event - the Stigmatization - which stood as something unique and unparalleled; it all but cried out for an interpretation. Such an interpretation offered itself on the basis of Apoc. 7, 2. Had not the seal of the living God - the figure of the crucified Christ - been impressed on the body of the Saint? Does not the image of the Apocalypse acquire here its real coloration and significance? As for the full actuality and the moving probability of this interpretation, this was to come in the encounter of this event with the entirely independent prophecy of the Abbot of Fiore who had in brilliant words predicted the coming of the angel with the seal of the living God. He had seen in this angel the novus dux de Babylone and the universalis pontifex sanctae Hierusalem. He would receive "full freedom for the renewal of the Christian religion". In view of the amazing coincidence of the particular factors, it is no longer surprising that the identification of Francis with the angel of the Apocalypse should have become an historico-theological axiom of practically unimpeachable certitude. Francis had called himself the "Herald of a great King." Taking this as a point of departure, Bonaventure sees Francis as the eschatological praeco Dei, as the resurrected John the Baptist. The word "Herald," which was originally used without any theological significance, easily provides a bridge to a new theological interpretation in which the word is applied to one who in fact is a "Voice crying in the desert." This one is the Herald of the Kingdom of God which has come upon us. From here, a further connection is obvious: The Lord Himself had called John the returned Elias (Mt. 11, 1; also Mk. 9, 12ff., and Lk. 1, 17). Consequently the two figures remain related to each other forever. For this reason, when Francis has been designated as John the Baptist, it is only natural that he should be seen as Elias as well. The two names are used interchangeably to express the same idea. But this alteration of names is not without significance, for the name of Elias points more clearly to an eschatological dimension than does the name of John the Baptist. The prophecy of Malachy, which was so important in the New Testament, was connected with the name of Elias, and not with that of John. "Behold, I send you the prophet Elias, before the great and terrible day arrives..." (Mal. 3, 23). From this citation, it is fully clear what Bonaventure means when he says: In Francis, Elias has appeared. While it has subsequently become apparent that St. Francis could not possibly be one of the Two Witnesses of Rev 11 - the Elijah to come, as St. Bonaventure appears to suggest, it certainly seems plausible that the great saint of Assisi prefigures this eschatological restorer of the Church. In fact, as we shall see, it appears that the Stigmatization of St. Francis provides us with an essential interpretative key for understanding the prophecy of the angel of the sixth seal, who is commissioned to mark the inhabitants of the earth with the seal of God at the end-time - symbolising the future restoration of the Church by the Two Witnesses. “As for you, son of man, thus says the Lord GOD: Speak to the birds of every sort and to all beasts of the field, ‘Assemble and come, gather from all around to the sacrificial feast that I am preparing for you, a great sacrificial feast on the mountains of Israel, and you shall eat flesh and drink blood. You shall eat the flesh of the mighty, and drink the blood of the princes of the earth—of rams, of lambs, and of he-goats, of bulls, all of them fat beasts of Bashan. And you shall eat fat till you are filled, and drink blood till you are drunk, at the sacrificial feast that I am preparing for you. And you shall be filled at my table with horses and charioteers, with mighty men and all kinds of warriors,’ declares the Lord GOD. “And I will set my glory among the nations, and all the nations shall see my judgment that I have executed, and my hand that I have laid on them. The house of Israel shall know that I am the LORD their God, from that day forward. And the nations shall know that the house of Israel went into captivity for their iniquity, because they dealt so treacherously with me that I hid my face from them and gave them into the hand of their adversaries, and they all fell by the sword. I dealt with them according to their uncleanness and their transgressions, and hid my face from them. So, the passage in Rev 19 which describes the angel standing in the sun calling for the eschatological banquet is recapitulated again in Rev 20, when the armies of Satan encompass the City of God at the end of the thousand years. The fact that the root Old Testament material here found in the Book of Ezekiel combines the rise of Gog and Magog at the end of the thousand years with the future restoration of Israel is greatly important to understanding the true significance of the historical events which unfolded at the beginning of the period of Satan's greater power/"little while" of the Apocalypse. As regards their content, the seven series of seven in the Apocalypse are identical with one another according to the view of Bonaventure. Each one points to the same thing in a different way; namely, the seven-staged course of church history. Consequently, the sixth figure of each series offers a new insight for the solution of the problem of the future. This interpretation of the various schemata leads to surprising results for Bonaventure, and often gives him cause to point out to his listeners the wonderful harmony of Scripture. So, it is no coincidence that the location of the River Euphrates once again resurfaces during the appearance of the angel with the sixth bowl plague, who, like the angel seen standing in the sun in Rev 19, is predominately involved with the assembling together of the nations of the earth for the Battle of Armageddon. As I have previously argued at some length in the post Our Lady of Mount Carmel: The Visions of Fatima and the Battle of Har Megiddo, the prophetic significance of the visions seen by the shepherd children of Fatima during the occurrence of the Miracle of the Sun not only recalls the contest between Elijah and the prophets of Baal at Mount Carmel (prefiguring the ministry of the Elijah to come), but it also heavily alludes to the Battle of Armageddon, since Mount Carmel is itself the "Mount of Megiddo" - which is the meaning of the Hebrew word Armageddon (Har Megiddo). So it is surely beyond coincidence that the shepherd children saw the Virgin Mary appear as Our Lady of Mount Carmel during the Miracle of the Sun on October 13th 1917, within a month of the publication of the Balfour Declaration calling for a Jewish national homeland in Palestine; or that the Battle of Megiddo in 1918 took place just under a year later, the consequences of which led to the land of Palestine falling under the British Mandate, which eventually resulted in the birth of the modern state of Israel in 1948. We reached the holmoak in the Cova da Iria. Once there, moved by an interior impulse, I asked the people to shut their umbrellas and say the Rosary. A little later, we saw the flash of light, and then Our Lady appeared on the holmoak. "What do you want of me?" After Our Lady had disappeared into the immense distance of the firmament, we beheld St. Joseph with the Child Jesus and Our Lady robed in white with a blue mantle, beside the sun. St. Joseph and the Child appeared to bless the world, for they traced the Sign of the Cross with their hands. When, a little later, this apparition disappeared, I saw Our Lord and Our Lady; it seemed to me that it was Our Lady of Dolours. Our Lord appeared to bless the world in the same manner as St. Joseph had done. This apparition also vanished, and I saw Our Lady once more, this time resembling Our Lady of Carmel. day of the second-most famous stigmatic in history besides St. Francis himself - St. Padre Pio, is celebrated on 23rd September - the date of the occurrence this year of what has become known as "the sign of Woman Clothed with the Sun". One of the signs associated with the War in Heaven at the end of the period of Satan’s unbinding is that of a Woman adorned with the sun, with the moon at her feet, crowned by 12 stars, crying out in the travails of child-birth. On 23rd September 2017, a unique heavenly sign will appear in the constellation Virgo which corresponds exactly with the description of the Woman Clothed with the Sun. (See Patrick Archbold's excellent article on this upcoming phenomenon here). The constellation Virgo will have the sun rise directly behind it, with the moon at its feet, crowned by twelve stars (the nine stars of Leo, as well as a conjunction of the planets Mercury, Venus and Mars). Nine and a half months previous to this event (the gestation period of a late-term baby), Jupiter, the king planet had entered the womb of Virgo on 20th November 2016 (the feast of Christ the King). Jupiter will exit from the “womb” of Virgo, or be “born” on the exact day of the appearance of this sign corresponding to the vision of the Woman Clothed with the Sun. This event will take place 33 days after the Great American solar eclipse on August 21st 2017 – the feast of Our Lady of Knock. The United States has not witnessed a solar eclipse crossing its entirety from coast-to-coast since 8th June, 1918 – towards the end of the First World War. So, while the First World War opened with a solar eclipse over Nineveh, it closed with a solar eclipse over America, the like of which has not been seen in almost 100 years. This pattern of Nineveh/American eclispes is echoed at the other end of the "little while" given to Satan, once we taken into consideration the total solar eclipse over Nineveh at the end of the second Millennium on 11th August 1999 - the feast of St. Clare of Assisi, who was sometimes titled alter Franciscus (another Francis), because of her insistence of a strict adherence to the rule of St. Francis by the Order of Poor Clares. However it is in St. Padre Pio himself whom we find the greatest parallel to St. Francis of Assisi; as not only did he bear the five visible wounds of stigmata, but he was also Christened Francesco Forgione before taking the name of Pius when joining the Order of Friars Minor Capuchin (a Franciscan order). If anyone other than St. Clare of Assisi deserves the title of alter Franciscus, it is St. Pio of Pietrelcina; and if anyone else in history prefigures the angel of the sixth seal the same way in which St. Francis did for St. Bonaventure, we find it in this great Italian mystic who also bore "the seal of the Living God". Just over a month after the American solar eclipse of 1918 took place, St. Padre Pio offered himself up as a victim soul as a means of petitioning for the end of the First World War on 27th July, 1918. A few days later, between 5th-7th August 1918, St. Pio experienced a transverberation during a vision of Christ, who pierced his side with a flaming lance, leaving a physical wound. On 8th August 1918, the Allies began the Hundred Days Offensive, which ultimately resulted in the declaration of the Armistice on 11th November, 1918. St. Padre Pio experienced another vision of the Wounded Christ on 20th September 1918, after which he was permanently left with the five visible wounds of the stigmata, in the most renowned example of this phenomenon since St. Francis of Assisi himself. This was timed to coincide with the Battle of Megiddo, which began on 19th September, 1918 (the feast of Our Lady of La Salette). The Battle of Megiddo was the Allies' final offensive of the Sinai and Palestine Campaign of the First World War, and took place between 19th-25th September 1918. The resounding victory of the Allied forces here directly led to the British Mandate over Palestine, and ultimately resulted in the birth of the modern state of Israel in 1948. We should also note that it was during a canonical coronation of Our Lady of La Salette on August 21st 1879 that the Blessed Virgin appeared at Knock. And when she appeared at La Salette, the Blessed Virgin took the form of Our Lady of Sorrows, which was also displayed during the vision of the Miracle of the Sun in 1917. The fact that St. Padre Pio was stigmatized at the very start of the Battle of Megiddo - which would eventually lead to the rebirth of the land of Israel, does appear to factor into understanding the significance of the prophecy of the angel of the sixth seal, which must be viewed through the prism provided by the example of St. Francis himself. While the symbolism of the angel of the sixth seal cannot be confined to the events of the stigmatization of St. Francis and St. Padre Pio alone, they both seem to provide an essential interpretative key to understanding the future implications of this figure, whom St. Bonaventure equated with the Elijah to come. We are told that the angel of the sixth seal appears from the "rising of the sun", which is recapitulated by the angel seen standing in the sun in Rev 19, who calls for the gathering together of the armies of the earth during the eschatological banquet. As we noted earlier, Ezek 38-39 tells us that the eschatological banquet takes place during the restoration of Israel and rise of Gog and Magog, which according to Rev 20 occurs at the end of the "thousand years", or Sabbath Millennium. The four angels who hold back the four winds of the earth parallels the Four Horsemen of the Apocalypse, who are restrained by the Four Living Creatures until the opening of the sealed scroll by the Lamb of Revelation. As I have already argued at length in my book, the opening of the scroll with seven seals is the catalyst which sets the entire events of the eschaton into motion, and is recapitulated in Rev 20 by the unbinding of Satan to seduce the nations of at the four corners of the world into gathering for war at the end of the thousand years. So the release of the Four Horsemen of the Apocalypse are represented in Rev 20 by the nations at the four corners of the earth, which are one and the same as the four angels bound at the River Euphrates to kill a third of "the people" in Rev 9:14-15. When we examine this in light of several other passages in the Old Testament, we can determine that it is a third of the Jewish people that is set to be destroyed by these four angels, rather than a third of humanity. The exact location of their release is given as the intersection of the Chebar Canal/Khabur River on the River Euphrates, which is found at modern Deir ez-Zor - the site of the single largest concentration camp during the Armenian Genocide, which was perpetrated by Ottoman Turkey from 1915 onwards, at the very beginning of the First World War. So many corpses were deposited in the River Khabur by the Ottomans that their skeletal remains actually shifted the course of the water (see here). It was at this scene of utter destruction that the Prophet Ezekiel witnessed his vision of the resurrection of the people of Israel from the valley of dry bones in Ezek 37, which symbolises the restoration of Israel following a state of devastation described during the release of Gog and Magog in Ezek 38-39. The Armenian Genocide is widely recognized by historians as providing Nazi Germany with the blueprint for annihilating a third of the world's total Jewish populace during the Holocaust. The havoc that is unleashed upon the world by the Four Horsemen of the Apocalypse is temporarily suspended by the angel of the sixth seal to allow the inhabitants of the earth to be sealed with the mark of God upon their foreheads. Those who do not bear this mark are killed by the locusts which emerge from the abyss in Rev 9, when it is opened by the angel holding the key at the end of the thousand years in Rev 20:1. When we compare this passage with its origins in Ezek 9, we find that it is the inhabitants of Jerusalem without this mark that are slain by the locusts of Revelation during a new Passover of the Jewish people. "... no one knows how long that time of great peace will last since "when they said 'Peace and security,' then suddenly destruction came upon them" (Matt 24:21). The seventh time or age, that of quiet, begins with the shout of the angel who "swore through Him who lives forever and ever that there would be no more time; but in the days of the seventh angel the mystery of God will be completed" (Rev 10:6-7).In the sixth age three things take place - excellence of victory, excellence of teaching, and excellence of the prophetic life.... In this age there ought to come a life through an order which will possess the prophetic life. This age is double. Just as in the Lord's Passion there was first light, then darkness, and then light, so it is necessary that first there be the light of teaching and that Josiah succeed Hezekiah, after which came the tribulation of the Jews through their captivity. It is necessary that one ruler, a defender of the Church, arise. He is either still to come or has already come. (He added: Would that he has not already come!) After him will come the darkness of tribulations..."
In the seventh age we know that these things will take place - the rebuilding of the Temple, the restoration of the city, and the granting of peace. Likewise in the coming seventh age there will be a restoration of Divine worship and a rebuilding of the city. Then the prophecy of Ezekiel will be fulfilled when the city comes down from heaven (Ezek 40); not indeed that city which is above, but that city which is below, the Church Militant which will then be conformed to the Church Triumphant as far as possible in this life. Then will be the building and restoration of the city as it was in the beginning. Then there will be peace. God alone knows how long that peace shall last. And if this shall be so, his binding is to be spoken of as preceding, that there might follow a spoiling of him both bound and loosed; for it is of this it is said, Who shall enter into the house of the strong one to spoil his goods, unless he shall first have bound the strong one? While the Gospel is veiled during the period given to Satan, obscuring the light of Christ, we will eventually be allowed to witness the glory of the Risen One at the end of this "little while", when the angel of the sixth seal will mark the people of the world with the seal of the Living God.